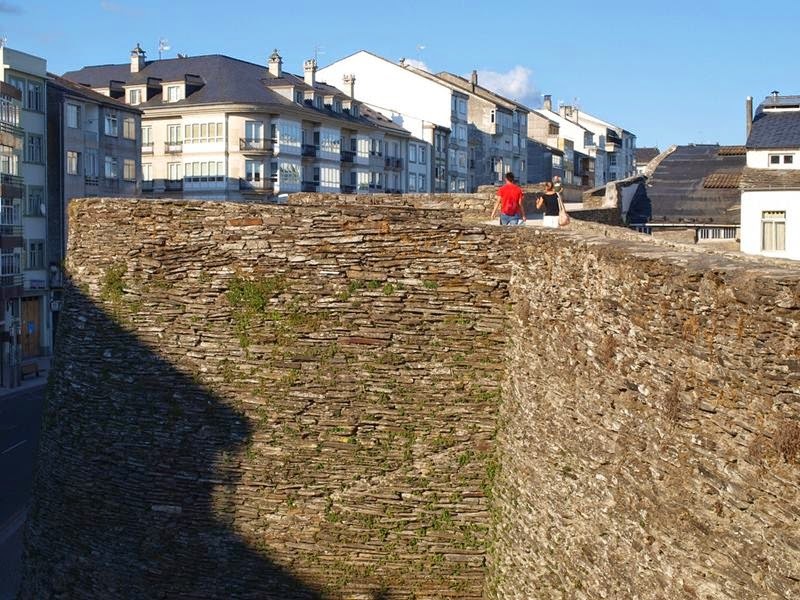 The Roman Walls of Lugo surrounds the historic center of the Galician city of Lugo in the province of the same name in Spain. 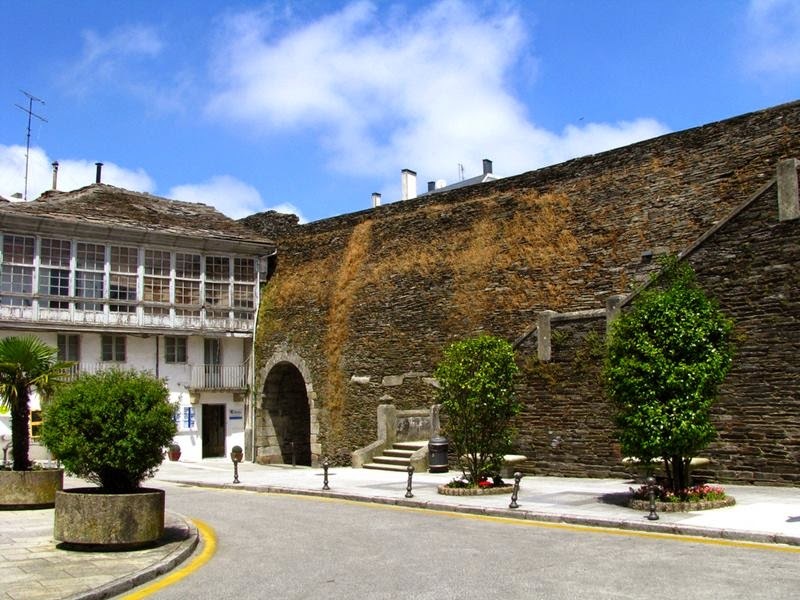 The walls have also held Spanish monument status (Bien de Interés Cultural) since 1921. 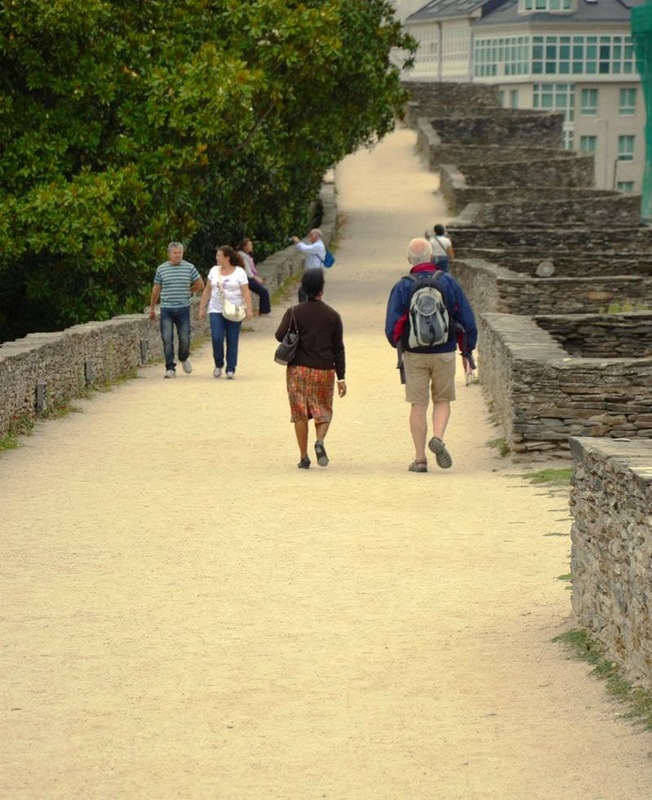 It is wall was completely preserved around the old part of the city and serves ride for tourists and locals. The ancient Roman town of Lucus Augusti, founded by Paulo Fabius Maximus on behalf of Emperor Augustus in 13 BC with the aim of uniting the northwest of the Iberian Peninsula to the Roman Empire. 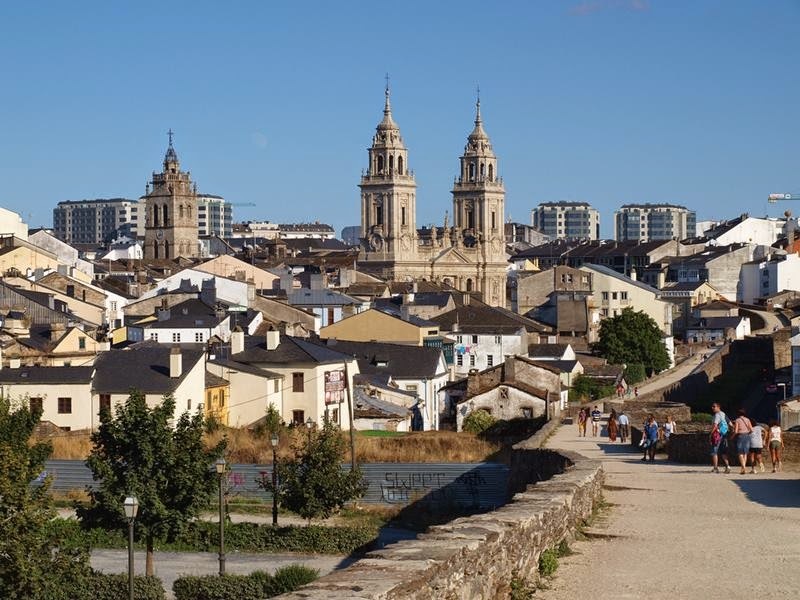 This town was first a Roman camp that evolved to a city that was equipped with walls, which remained until today, very few reforms and changes. 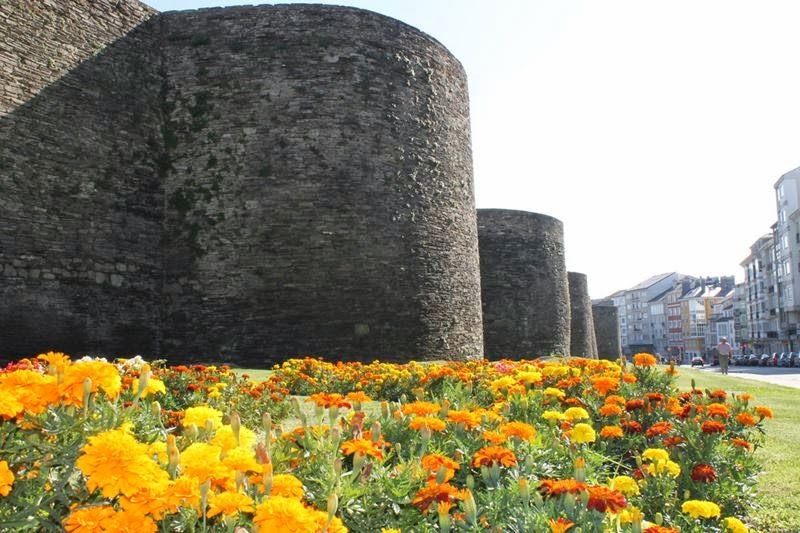 The entire length of the walls is around 2,120 meter, enclosing an area of 34.4 hectares, and The width of the walls is around 4.2 meter and the height of the walls varies between 8 and 12 meters, the impressive structure of this wall it is lined with semi-circular towers, 46 of which have remained intact while the other 39 are damaged in some way. 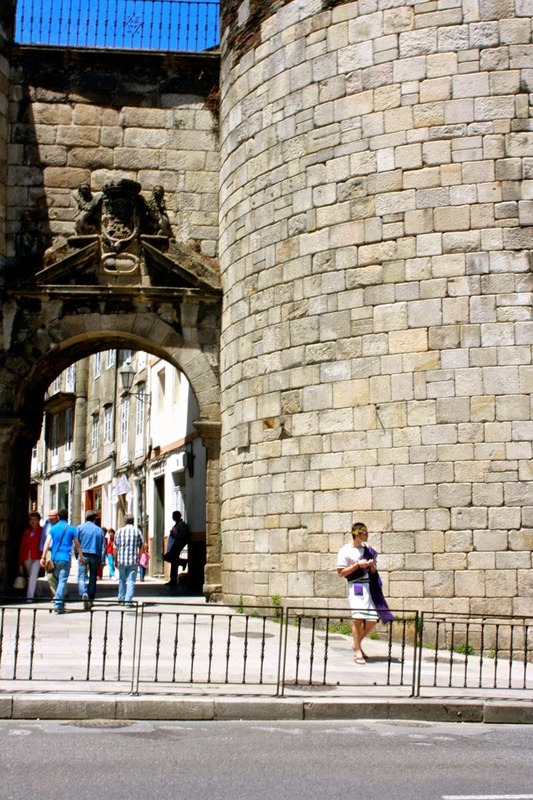 The 10 gates (five dating to Roman times and five added after 1853 to accommodate the expanding town population) that exist in the wall serve as union and accessibility between the new and the historical part inside the walls. 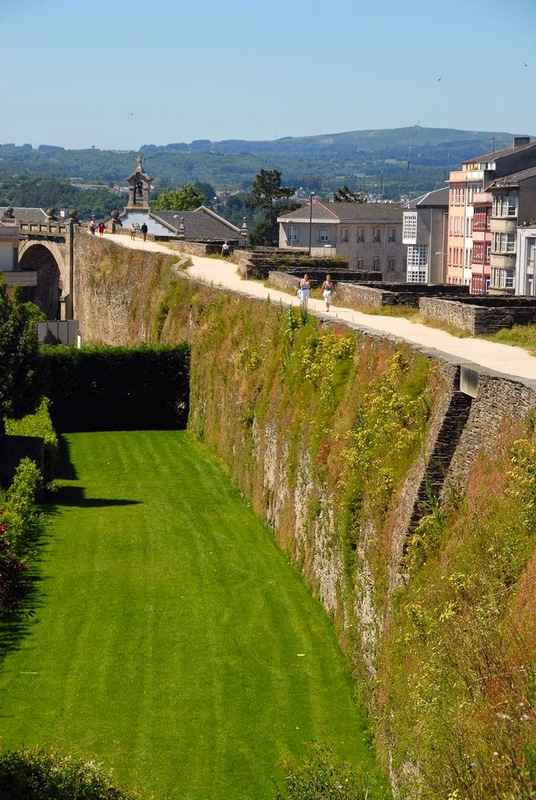 It is one of the best preserved Roman monuments, it is the only Roman wall entirely preserved. The material used for its construction is essentially the board, and to a lesser extent the granite masonry. 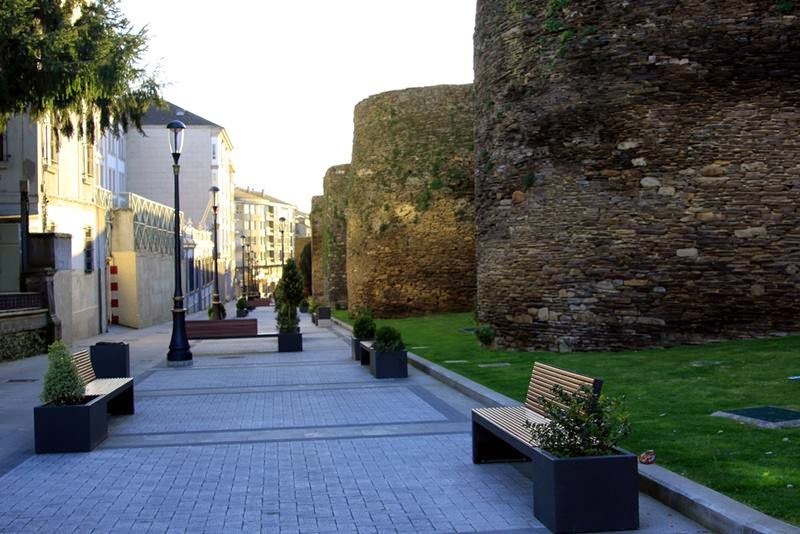 Today the Roman wall surrounding the historic center of the city. 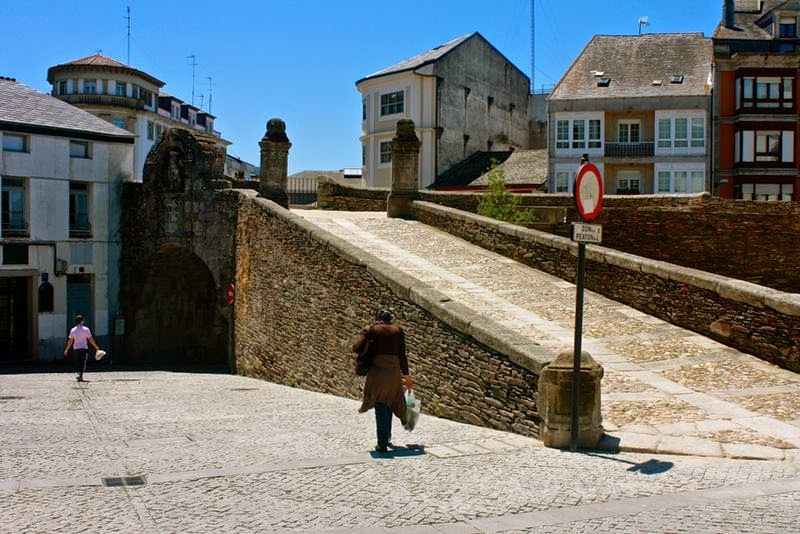 This wall is completely passable, which serves to turn a beautiful walk for Lugo and tourists, who can use map for exploring the city. 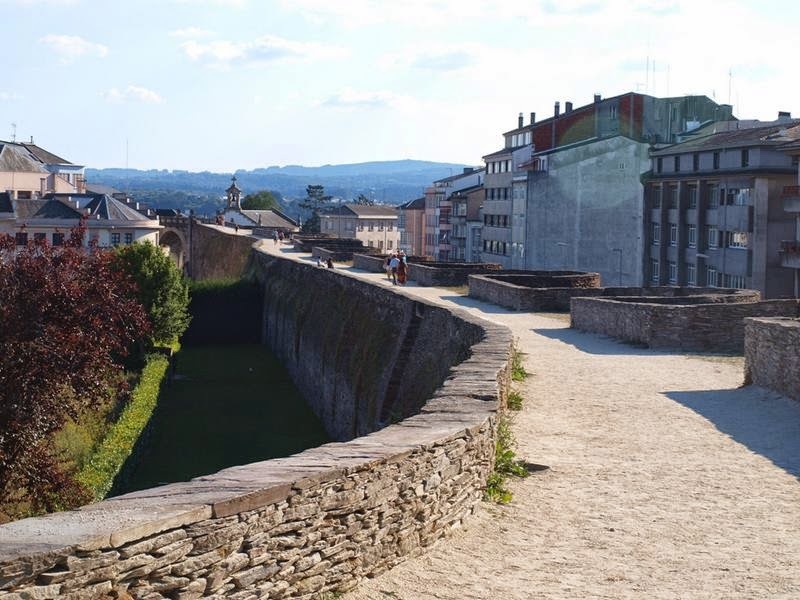 Built as separation and defense has become an integrating element between ancient and historic city Roman Lucus and that has developed around it. 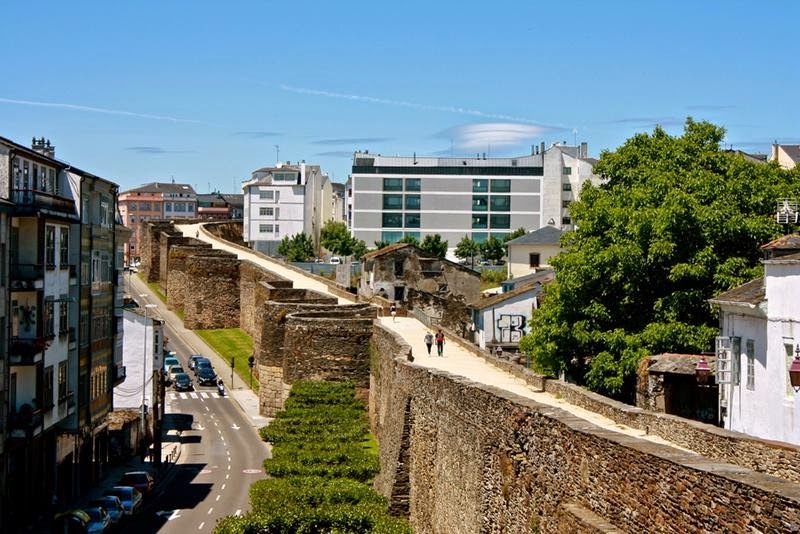 The Roman Walls of Lugo has been declared a World Heritage Site by UNESCO in 2000 as "the finest example of late Roman fortifications in western Europe." and is twinned since the day October 6, 2007 with the Great Wall of China Qinhuangdao.